Our specialist Static Caravan Insurance is suitable for static caravans that are permanently sited on a Holiday Home site that is licensed for this purpose. Does your present static caravan insurance policy have Vermin Damage cover? Ours does! Do you have cover for Freezer contents? With us you do! Does your static caravan insurance cover you on a Reinstatement Basis? (New for Old cover) If the answer is yes; are you insured enough to cover you to purchase a brand new replacement static caravan, along with site clearance, delivery and re-siting costs? If you are not then you do not have new for old cover! Too many people believe that they simply need to insure for the purchase price of the static caravan from the manufacturer and forget that this does not include clearing away the old damaged unit, delivery of the new static caravan unit and the cost of re-siting the new home. This means you will be liable for any additional costs. Let us take these worries away. With our years of experience, we will recommend the Reinstatement/New for Old sums insured to you. Our insurance for static caravans is specifically tailored to cater to your individual needs by offering 5* cover. Reinstatement – New for Old up to £500,000 (no age limit) or Indemnity – Market Value cover. Cover for damage sustained from vermin i.e. mice, rats etc. Loss of Metered Water, up to £1,000. Replacement Locks up to £1,000. Payment accepted by credit / debit card and monthly instalments. Liabilities:- £5m Public Liability and £10m Employers’ Liability for domestic staff. Escape of water during the period 1st November to 15th March unless central heating is on a minimum of 10 degrees or water is turned off and drained down. Do I need to insure outbuildings? Do I have public liability cover? Why do I have to insure with a 'specialist' insurance company, why can't I insure it with a main stream insurer? Why do you need to know the make and model of my home? What if I have more than one home? Am I covered for Fire and Theft? Do I have to use the insurance provider recommended by the park owner? What does indemnity cover mean? Can you insure Static Caravans on my own land? Am I covered for contents in the garden? Am I covered for temporary accommodation in the event of a total loss? Am I covered for sports equipment? Am I covered for Jewellery? Am I covered if I leave my property unoccupied for an extended period? No we don’t insure people who live in Static Caravans as they are not designed to Residential standards so the wear and tear on the property is so much more than a Residential Mobile Home and the likelihood of a claims is so much greater. We also do not encourage people to live in a static caravan as they have no security of tenure and could be asked to leave at the end of the Park’s annual licence. In the event of a total loss your insurance will replace your static caravan with its brand new equivalent on a like for like basis including the cost of site clearance and debris removal, delivery and re-siting of the new home. Your sums insured therefore need to be sufficient to cover these costs. We can offer advice on exactly what the reinstatement cost of your home would be. You are responsible for insuring any outbuildings that you own, such as sheds, conservatory, garages, steps and decking/veranda. You are covered for up to £5 Million for your legal liability as the owner of the home. As Static Caravans are a non-standard risk, be wary of companies that seem to offer too good a deal, they could be insuring it as a ‘bricks and mortar’ property under a standard insurance policy. Your Static Caravan is not made of bricks and mortar; it is made of marine ply-wood and is therefore more expensive to insure than its brick equivalent as it is more susceptible to certain claims. A deal such as this, may seem too good to pass up; after all it’s the insurance companies’ fault if they got it wrong, isn’t it? Actually, the emphasis is always on the customer to check and make sure they are insured on the correct basis. If you are insured on the incorrect policy, you may find you are inadequately covered or not covered at all. Your premium is calculated on the replacement cost of your home with an equivalent new model of the same size and specification. To this effect we need to know the make and model of your home so we can calculate the replacement cost of a new home. If you do not know the make and model we may still be able to provide a quotation but you will need to give us as much information as you possible can. 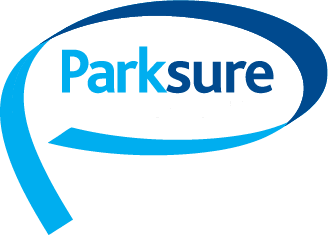 Parksure can insure multiple homes for you. Please call us to discuss. Yes this is covered under our policy automatically. Some park owners have arrangements with particular insurance providers. You are within your rights to insure with whomever you want and the park cannot insist you insure through them; in fact it is illegal and the Financial Conduct Authority (F.C.A.) would be very interested if the park were trying this tactic. We would however point out that you should make sure that the insurance provider is one of the few insurance specialists that provides cover for your particular type of home and not just a main stream insurer. This is why it is important that you insure through someone like ourselves. Indemnity, sometimes referred to as Market Value cover means that in the event of a total loss of your Static Caravan say for example in a fire or flood; rather than getting a brand new equivalent home the insurers will simply pay you the current market value of the Static Caravan itself. Please note this is not the sale value of your Static Caravan on the site which of course includes the plot and desirability of the area, it is simply the current value of the Static Caravan. As Market value is a lot less cover, obviously it is normally cheaper to insure and an option if you are looking to reduce your insurance premium at the expense of reducing cover. No unfortunately we can only insure static caravans on registered parks. Yes ‘Personal Possessions’ cover away from the home is included up to £2,500 subject to a £500 single item limit. This is a token cover and we would normally recommend that you have personal possession cover under your main household insurance. Yes you are covered for items you would normally find in the garden but only whilst they are securely locked in your shed or securely locked to a permanent fixture. Yes in the unlikely event that your Static Caravan becomes uninhabitable for example through a fire or flood, your insurance will pay your ground rent and any reasonable temporary accommodation (if you have a Holiday already booked) up to a limit of 20% of your building sums insured subject to a 21 days limit. It is a holiday home after all. Please see the Policy Wording for full details. Yes subject to the cover limits under your personal possessions section. We would advise you to check your main household policy to see if you have personal possessions cover which may have higher limits. Yes this is covered under our policy automatically unless the damage is caused by a paying guests, tenants or their guests. This is a specialist Static Caravan Insurance policy and as such we know the property will be unoccupied for long periods. Our policy therefore covers you if your Static Caravan is unoccupied for extended periods. (Subject to certain criteria of course). Please check your policy for full details on what to do during the winter period.